Happy Friday my friends! With tomorrow being October 1st, I thought I would kick off the Pumpkin Parade Party tonight. 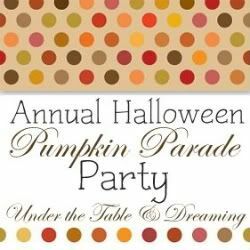 This party is open to all fun, festive pumpkin creations to round them up in one inspirational spot. Feel free to share any pumpkin decorating or carving projects you have created for the season. 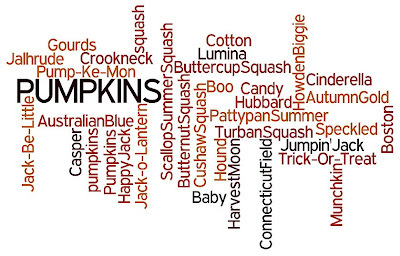 pumpkin recipes and inspiration posts are welcome too! This casual Party will be open until Halloween so check back as more pumpkin inspiration is added as we get closer to Hallows’ Eve! I can’t wait to see what you do with your pumpkins! I’ll be featuring projects and ideas from this party all month long. What a fun party Stephanie!! I went to buy pumpkins and almost choked on the prices they wanted for real ones- this may be the only way I get my pumpkin fix this year is seeing everyone else s! Wow! I already see some awsome pumpkins! Hopefully I can figure out how to link up and share! What a FUN Idea! Thanks for the invite! I love your idea for a pumpkin party! Thanks so much for hosting, Stephanie Lynn! What a great idea! I didn’t see last year’s so I’ll have to take a peek! Thanks for hosting, I joined in! Love this time of year also! Thanks for hosting this fab party! Thank you for hosting. THis is so much fun…. Most excellent party! Thank you for hosting. I am so inspired by the ideas you’ve brought together.